A swinging International Jazzday everyone! 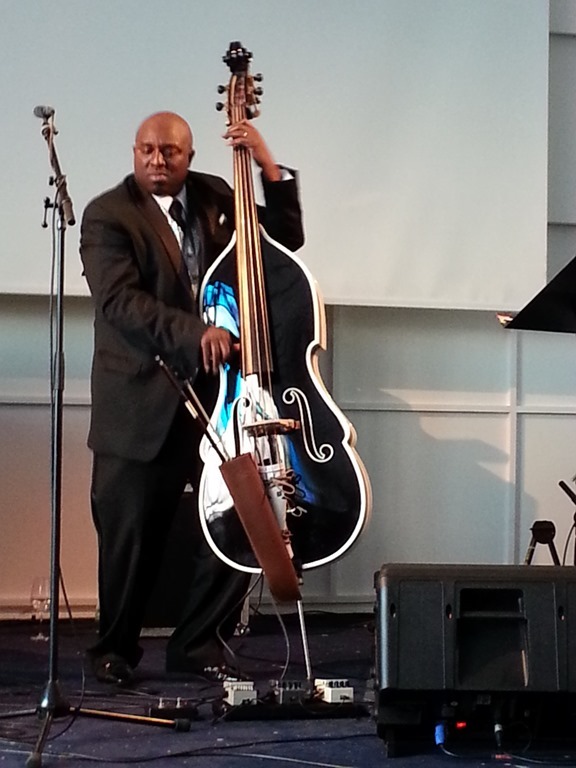 Got back on Sunday from jazzahead in Bremen – the only jazz fair in the world. Originally set out as a Germen event, which became a European fair and now gets more and more international participation – labels and managers, agents from the US and other parts of the world being present this year (my first to attend). The musical focus this year was on Israel (last year it was Spain, which this time had only a small booth) – a huge stand right opposite the entrance and a strong presence of artists and managers from the country could be felt throughout the fair. Beside Israel there was a strong presence of the Scandinavian countries and of course of Germany – enja, Act and ECM displayed music catalogues and many German agents had stands to see artists and discuss possibilities of working together. Artists from all around Europe came to meet with labels and agents and to either listen or perform. We checked out the technically incredible pianist Omer Klein, the really great Zoe Rahman quartet and some of the Motema 10th Anniversary showcase featuring a solo bass performance of Charnett Moffett and a solo piano set by Marc Cary performing the music of Abbey Lindoln (both are available on disc) and Charnett together with label founder and singer/songwriter Jana Herzen. The two solo performances were for me some of the best of its kind! A worthwhile trip with some good meetings and hanging out with old friends in the world of Jazz. Soon I’ll give you another update on what happens with OKeh – the first album is released and by the end of May we will have 4 records in the catalogue and a website ready to be launched. If you want to check out the forthcoming releases by David Sanborn & Bob James, Bill Frisell and others, go to http://soundcloud.com/okeh-records and enjoy. And now put a good jazz record on to celebrate international jazz day.